500ml Bottle and 5 Litre refill. 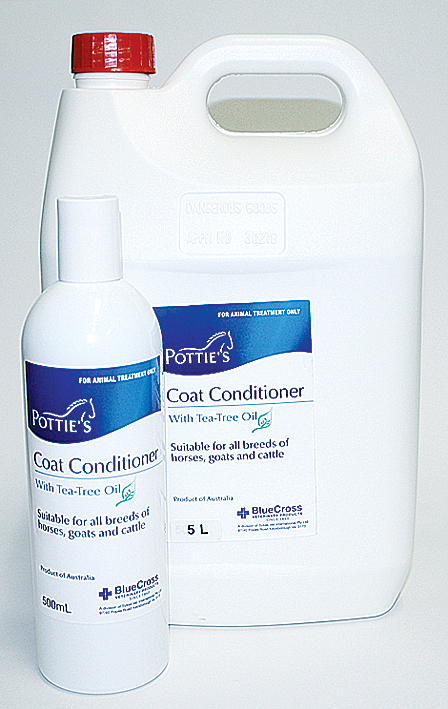 Pottie’s Coat Conditioner should be used following Pottie’s Shampoo. Apply to the coat after shampooing using Pottie’s Shampoo. Rub well into the coat evenly, and brush through long tangled hair. Leave on for one or two minutes for deep conditioning effect. Rinse with water. A high-quality conditioner which penetrates the hair and leaves it soft and manageable. Soothing and gentle for sensitive skins.